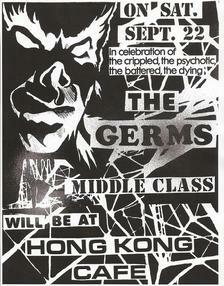 8 1/2" x 11". 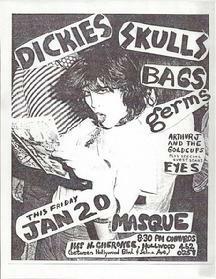 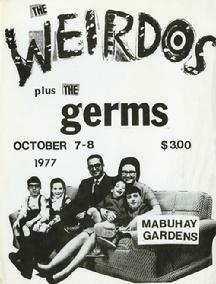 1978 Original flyer. 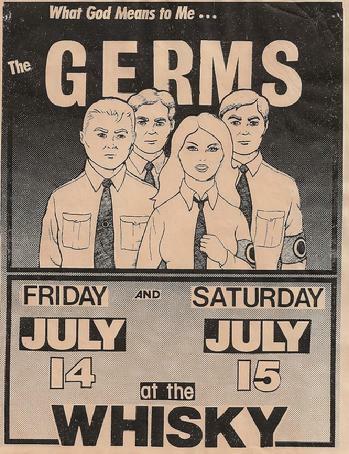 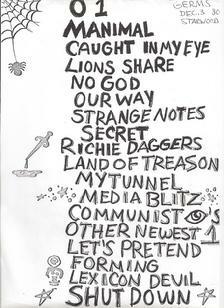 Here it is, the Holy Grail of all US punk flyers: The Germs at the Whisky July 14/15, 1978. 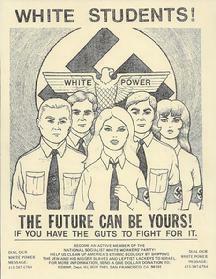 This flyer was designed by The Germs' drummer, Don Bolles, and features the controversial Hitler Youth image. 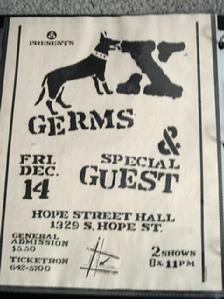 The Germs were one of the greatest punk rock bands and original Los Angeles punk rock pioneers who were active from 1977 until Darby Crash's death in 1980. 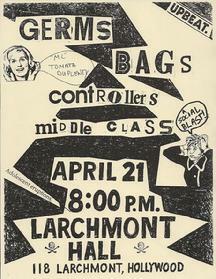 This flyer was obtained directly from Don Bolles' personal collection. 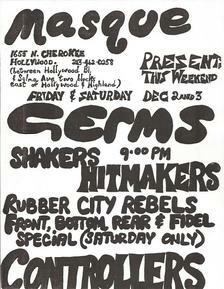 This an ultra rare and important punk artefact.